Description: A commercial building designed by architect Russell Pancoast in 1935. Key Art Deco features are the corner entrance and parapet with vertical pilasters, ridged roof border and decorative carvings. 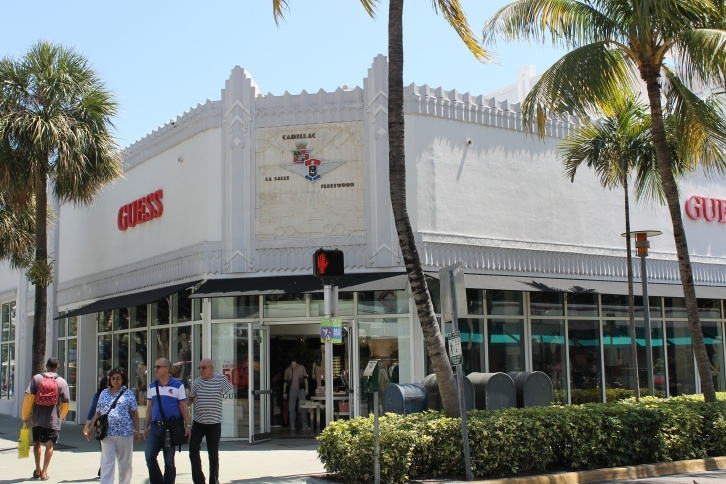 History: This building was originally a Cadillac showroom. The Cadillac coat of arms is still above the entrance. It is now primarily a Guess clothing store.